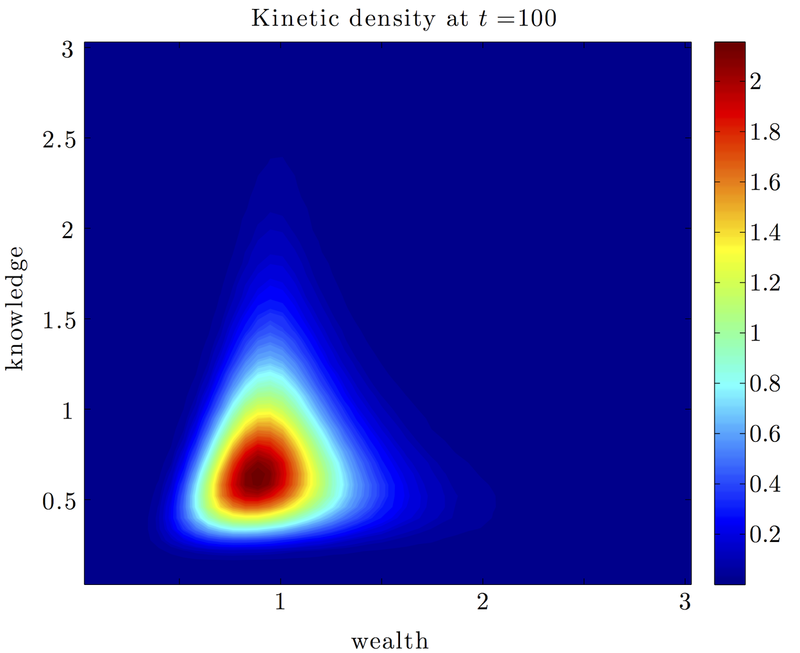 We introduce and discuss a nonlinear kinetic equation of Boltzmann type which describes the influence of knowledge in the evolution of wealth in a system of agents which interact through the binary trades introduced in Cordier, Pareschi, Toscani, J. Stat. Phys. 120, (2005) pp. 253-277. The trades, which include both saving propensity and the risks of the market, are here modified in the risk and saving parameters, which now are assumed to depend on the personal degree of knowledge. The numerical simulations show that the presence of knowledge has the potential to produce a class of wealthy agents and to account for a larger proportion of wealth inequality.